Kid Magazine is a digital magazine for mums who want more. More fun, laughter and time with your kids. More for yourself and living your best life. Young, fun and growing, Kid Magazine is a place to laugh, discover and indulge. 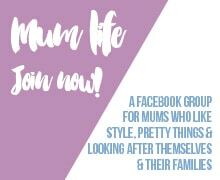 Inside you will find tips and advice from the experts and real mums, fab fashion finds for you and the kids, mouthwatering recipes, fun activities and play ideas, inspiration for your home and life plus all the latest and greatest products for the whole family. With your annual subscription you will receive access to the magazine via our Kid Magazine membership area. You will have multiple options for reading the magazine including all articles in blog post format or a flipbook magazine style. There are 4 issues of the magazine published each year and you will also have access to back issues via the membership area. All paid subscribers also receive 10 additional entries in all Kid Magazine competitions and giveaways run on our website as well as access to extra content including full interviews with experts appearing in the magazine, behind the scenes content etc. This is a digital subscription meaning that you will not receive a physical printed copy of the magazine. Refunds will not be available for this product. At checkout you must provide a valid email address for the purposes of emailing you regarding the magazine and your subscription. If at any point throughout the subscription year you change your email address, please email hello@kidmagazine.com.au so we can update your details. Kid Magazine will not be responsible for emails arriving in your spam folder. If at any time through your subscription year you do not receive an issue, please email hello@kidmagazine.com.au so we can investigate this for you. Your subscription is non-transferrable and should not be shared with any other party. Nor may it be reproduced or resold.